If that believer busies themselves trying to know themselves, trying to clean themselves, trying to rid themselves of them self. This material world has fooled us, when they use the words ‘Self Realization’ and I am going to rely on myself. It is the self that is destroying everything; that ego within us is destroying everything. Allah (Azza wa Jal), the Divinely Presence is teaching that: I am a Paradise, and a reality within your heart but you have to seek it. Those whom are looking for Allah (Azza wa Jal) on the outside, He is not there. Those whom are looking for Allah (Azza wa Jal) within the Heavens, He is not there. Those who are looking for Allah (Azza wa Jal) within their heart, they should find that peace, they should find that reality, they should find everything that the Divine has set aside for us. If you are matching your light with Divine light, then what you want, He gives, and what you don’t like, He takes away. God is Just, العدل Al`Adl. 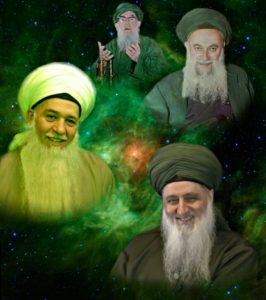 He protects those pious and saintly souls, who are dedicating their lives in His way and the way of His prophets. That is the real beauty of the story of Prophet Joseph (as). In the 12th month, the 12th Surah of Holy Qur’an is Surat Yusuf. Every year mashaAllah the years are coming fast because I felt we talked about this a few months ago and already one year has passed and we are back at Dhul Hijjah, it seems like a blink of an eye that this life is going; our time is ending. 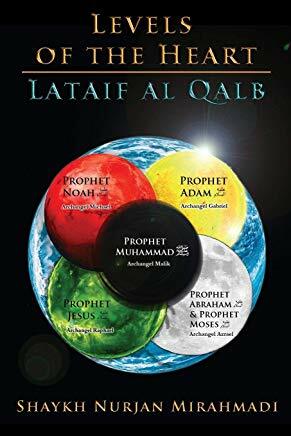 Out of all of the Prophets, he is one of the prophets to whom a Surah of the Holy Qur’an is named, and Allah (Azza wa Jal) Himself describes it as “the most beautiful of stories” (12:03). The story is beautiful, but it’s a wonderful description of a seeker’s journey on the spiritual path. 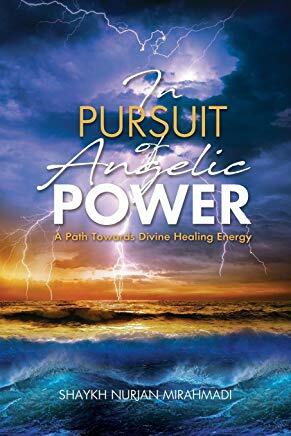 When we read it, with the blessings and support of our beloved Masters, we begin to understand that this is not just a story of something that happened thousands of years ago, but it has a direct relevance to our experiences on the spiritual path. If the prophets of God have jealously imagine what we are capable of doing to each other? Means then keep your path to yourself, that this path is uniquely for me if God is giving me and granting me an inspiration to seek a higher reality. —Then Sayyidina Yusuf (as) goes to his father and understands there is going to be jealousy, there is going to be conflict. 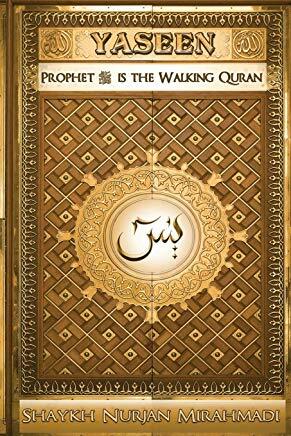 Yusuf was a Prophet who was born into a family of Prophets. He had 11 brothers, all of whom were Prophets. But Joseph (as) was special, and because of this his brothers quickly became jealous, so they took him and threw him down a well. 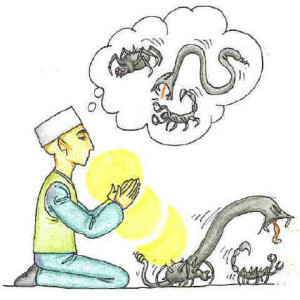 So Allah (Azza wa Jal) immediately takes the boy by a battle within his brothers who become jealous and throw him into a well. This is just a very quick summary so that we understand the blessings of this month. -From the teachings of the Naqshbandia, this is the first of three secrets in this Surah (Surah Yusuf) which describe the journey towards our reality. We use Surat Yusuf as a marking point in my life. Every time I want to check if my path is correct from these Turuq then I should be looking to Surat Yusuf and the life of Sayyidina Yusuf (as) as an example. That my path is going to be uniquely mine and though my father is a great, great prophet, and what Allah (Azza wa Jal) did to him, the brothers took him and threw him in a well. –The well represents isolation and it is teaching us that if the Divine wants to open realities then you must be isolated. So it means we all have to be tested. Our father is a saint or plumber, whatever that person is, everyone has a unique grave, everyone has their own grave, their own path. You can’t ride on your mother and father’s path. So my path is unique and I am reminding myself all the time that Sayyidina Yusuf (as) was thrown into a hole and immediately smashed his knees as a young child. How come all of a sudden I wanted to reach You my Lord, I find that all the friends I had are no longer interested in the same interest that I had with them? What is going on? Why are they isolating from me? Why is it that when I sit with them I don’t have the same interest in their conversations? Allah (Azza wa Jal) is reminding through Sayyidina Yusuf (‘alayhis salaam). Each of the Prophets are inspiring and perfecting our Message. We are a sum of all of their realities. You can’t reach a reality without all of them. They are coming and inspiring us. Sayyidina Yusuf (‘alayhis salaam) inspires us that, “I was put into the well because our path is unique. You can’t be mixed with other paths, you can’t be mixed with other realities. 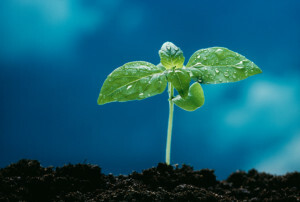 What God has for you is uniquely for you and you have to be isolated like the seed that wants to become a tree and wants to bear fruits.” But if the seed is always on the surface and always moving around in the market and bazaar and stores, what reality is that seed going to bring? Absolutely nothing. You become isolated from friends and family because your friends aren’t needed for what you are going to be dressed with. If they stay around you, their influence will prevent that reality from opening because they will constantly try to interfere with your practices. That is why when people take a spiritual path suddenly everything they are doing clashes with their friends and family. For example, your friends want to go out drinking, but you don’t drink. They want to go to a nightclub, but you want to go to zikr or meditation. Then Divine says, “these influences are preventing you from reaching what I want you to reach, so I’m going to isolate you from them.” Then you find that your phone suddenly goes silent and no one calls you anymore, no one wants to hear from you anymore. 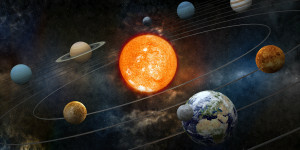 So Sayyidina Yusuf comes into our life and says, “You are going to be isolated,” things that are not important for you, friends that are not related for your reality are going to be pruned; they are going to be cut-off. If God really wants to inspire you and raise you, He is going to take you like a seed and put you into the dirt where you become completely isolated and cut-off. Only then can you begin to do your practices, do your meditation, your contemplation, and all that is important for our lives is based on that. So the first step is to be thrown into the well, to be isolated. And that isolation is a mercy because a new you is being formed, free from the interference of others. That isolation will give you the time you need to do your spiritual practices, to do your meditation and your zikr and build yourself so that you can be of benefit to others. Every night I take a hisaab (account), “Who did I bother and disturb with my hands, with my mouth, with my entire being? What is my life? What is my accounting every night so that my next day can be better?” There are those who never take an accounting and every day is progressively worst than the next. If you don’t take an accounting how do you know what you did wrong the night before? So that isolation is our whole life our whole path. But every night I take an accounting: “What is my life? What is the purpose? What am I doing with my existence? Am I hurting anyone, am I harming myself? Am I reaching the goal of becoming a tree that bears fruit and has some purpose on this Earth?” I am not an animal that just eats and goes to the bathroom. The Turuq and way of reality, these are the caravans of Allah (Azza wa Jal). That they go through the deserts of isolation, and the reality of the desert, those whom Allah (Azza wa Jal) is isolating to reach their reality, and they find those people within the hole. It’s describing for us that once you are in isolation, there is going to be someone who comes and takes you out of the well. That one is your Master. They found Sayyidna Yusuf (as) and took him out. They saved him from that hole and they understood: there is going to be a blessing in this one, let’s take him. Means your path chooses you; not that you thought you chose your path! If you give credit to yourself, you give credit to your cleverness, that you were clever and you found it. No, in reality you didn’t find anything, your path found you! Allah (Azza wa Jal) had written and predestined that reality. That on the Day of Promises we were promised a path and that a station cannot be achieved unless it is written by Allah (Azza wa Jal); every goodness is written upon the souls. Its the cleverness of the individual, are they taking the steps that Allah (Azza wa Jal) wanted for them? To realize what Allah (Azza wa Jal) wanted for them? At this point it should be obvious for us that the Divine has set certain things into motion and that we are not here from our own cleverness, but that we were destined to be on this path. Sayyidina Yusuf comes into our lives and says: they are going to come and get you, don’t worry, those who are destined to take care of you, they will pull you from that hole and they will take you into the market place and they will begin to sell you. That has a very deep reality. You are thrown into the well not by your will; it wasn’t your will that you were thrown into that hole. Your will was to achieve what Allah (Azza wa Jal) wanted you to achieve, the rest of the path is tasleem and submission. When they come to take you out, the individual has so much will, so many comments, so many desires, so many opinions, none of which are important to reach the reality. That is why the example of a caravan, that is bound. This is a prophet of God. We are talking about our minuscule beings when Allah (Azza wa Jal) is giving the example that ‘this is such a beautiful story’, such a beautiful surah; that this is a beloved prophet of the Divine Presence, so beloved that his beauty was completely emanating. He comes to our life and teaches that, “You are not going to have any will, when they take you out.” They came and they bound him. He couldn’t say, “I am the son of Sayyidina Yaqub (Jacob). What are you doing crazy people, let me go.” That was of no importance. Means, surrender your will, the will of desires, always having to think that you know the path, that you are going to figure it. So our life is about complete tasleem, complete surrendering. Every time I am complaining, I have an issue, or I have a difficulty, I am here to reach my reality. Sayyidina Yusuf (as) was brought into the marketplace, and into the presence of a king named, Malik al`Aziz. The Siffat of Sayyidina`Aziz is a big reality because nothing escapes Allah (Azza wa Jal)’s Azheemat. – That king that bought Sayyidina Yusuf (as), represents the Prophets. They are the kings, and they send Saints to come and take us. When that Heavenly decree is coming saying, “We accept this servant. Take them into the palace.” Then Saints are dispatched to come for us. But we have to know that in the palace you are going to be tested because now you are under the direct observation of the King. That king identified that student, that servant, that prophet of Allah (Azza wa Jal) because every step of it is a step for me. They are going to come, my Tariqah is going to come and take me and there is a big wali in charge of me. That wali (saint) is going to test everything about my reality. The king took him, and the wife (Zulaikha) said take him and he will be a barakah (blessing) for us. He said ok, we will take him into the house. -The Divine placed us into the hands of a spiritual mentor [Wali], and all we have to do is accept it and begin our training. Accept to be a servant. Accept that we belong to these masters, who are teaching us things that are not found in any book, nor spoken of in any association. -It means that after our Master has saved us from the well, after he has trained us and prepared us, he then takes us as servants into the presence of the King. You cannot enter the King’s presence as a competitor to him – you must enter as his subject. But our ego doesn’t accept to be nothing. Therefore, when we are seeking spiritual enlightenment, we must first be guided into the hands of a spiritual mentor who can train us and prepare us for the presence of the King. It means now that palace, and that way, is that you met from these Awliyaullah who are representatives of the Divinely Kingdom. That Malik is representing the Kingdom of Allah (Azza wa Jal). And that servant is now trying to enter the Holy Kingdom of Allah (Azza wa Jal). He left dunya and was put into a chal (well) brought not with his will, but (hands) bound and made tasleem, submitted. 2. Malik al-Aziz, Then, as we go deeper, العزيز alAziz is the attribute of God, which means “the Victorious”. And it opens اَلرَّزَاقْ ar Razzaq, which means “the Sustainer”. That is why we say ياعزيز يارزاق“Ya Aziz! Ya Razza! (O’ the Victorious, the Sustainer)” That Heavenly sustenance that we are seeking cannot open without alAziz. Malik ul Aziz means, that this King owns all sustenance. That king is a symbolic that they place you under the hand of Awliyaullah (saints). They are dressed with `Azeez. They are dressed with Allah (Azza wa Jal)’s Divinely Power. They are dressed with Allah (Azza wa Jal)’s Divinely Rizq, Divinely Sustenance. قُلِ اللَّهُمَّ مَالِكَ الْمُلْكِ تُؤْتِيِّ الْمُلْكَ مَنْ تَشَاءُ وَتَنْزِعُ الْمُلْكَ مِمَّنْ تَشَاءُ وَتُعِزُّ مَنْ تَشَاءُ وَتُذِلَّ مَنْ تَشَاءُ بِيَدِكَ الْخَيْرُ. اِنَّكَ عَلَى كُلِّ شَيْئٍ قَدِيْرٌ. 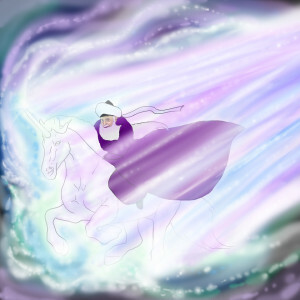 The king took Sayyidina Yusuf into the house and because of his beauty, everything was attracted to him. How Sayyidina Yusuf (as) was tested? By the wife of the King who wanted to seduce him.. The biggest difficulty for Sayyidina Yusuf was with the wife, Zulaikha. She represents the hubb ad-dunya, the love of dunya. It had nothing to do with her. It is not a love story between a prophet and a woman. What does Allah (Azza wa Jal) care for love stories? This is to do with m’arifah and the reality. -In this context, the beauty of the wife symbolizes the beauty and allurement of the dunya (material world) and our ego’s desire for it. That woman represents the hub ad-dunya, that when this barakah dresses you and blesses you, everything in the material world is going to run after you. 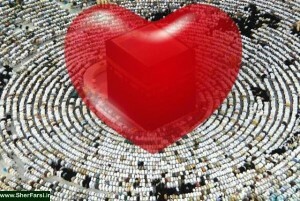 Be careful, because Allah (Azza wa Jal) loves you and the signs of His love are all around you. 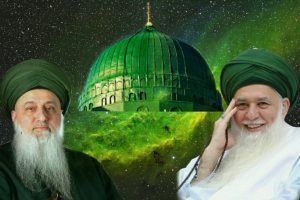 –Many times people come to these associations (of zikr) and because there is so much power in the association, so many blessings, jobs suddenly open and wealth comes to them. And then they end up leaving tariqa طريقه (spiritual path). But these things open for the sake of tariqa – not for you. Sayyidina Yusuf’s biggest battle was with hub ad dunya, as it constantly trying to give itself to Sayyidina Yusuf (‘alayhi ‘s-salaam). It means that as Sayyidina Yusuf (as) is seeking to serve the King of Heavens, the material world keeps following him and testing him. So the wife of the king [Zulaikha] keeps trying to seduce Sayyidina Yusuf (as), and he keeps struggling against his desire and until finally she corners him. So the dunya is after Sayyidina Yusuf (as), until there was a big event, that the dunya graps him (as), trying to make a fornication with his reality. “And (with passion) did she desire him, and he would have desired her, but that he saw the evidence of his Lord: thus (We order) that We might turn away from him (all) evil and shameful deeds: for he was one of Our servants, sincere and purified. (12:24) And they both raced each other to the door, and she tore his shirt from the back: they both found her lord (husband) near the door (Holy Quran, 12: 25). He tries to escape and heads for the door and finds the Malik (king) standing there. Then the king enters the room. Then at that moment Sayyidina Yusuf (as) is in a big trouble with his Lord. If Sayyidina Yusuf (as) has to answer for himself he is going to be thrown in prison by the King, but at that moment someone interceded for him. Although Sayyidina Yusuf (as) is trying to explain that he didn’t do anything, without the support of a member of the household who also witnessed the transgression he would have been in tremendous difficulty. That person was a wazir (Minister), a helper for the King, who the King trusted, and these are the Saints. So that wazir stepped-in and asked the King to check whether it was the front or the back of Sayyidina Yusuf’s (as) shirt that was torn. “If it was torn from the front,” he said, “then the wife is telling the truth and he was going after her. But if the back of the shirt is torn, then he is telling the truth and she was chasing him.” And they checked and found that the back of the shirt was torn. Then the King enters the room and says “the whole dunya is all over you. What happened?” ” They say look if this dunya is attacking his front, means he was going after dunya. So they came and said, “Check in which direction the lady has attacked him.” They found that the lady had attacked him from the back. It means the dunya love was coming after him and he was running away. At that time he was safe. There is a big wisdom that the wazir stepped-in and asked the King to check whether it was the front or the back of Sayyidina Yusuf’s (as) shirt that was torn. 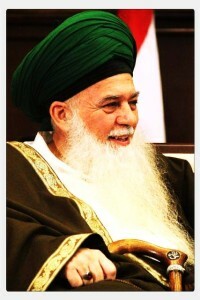 Mawlana Shaykh is teaching us, using the example of Sayyidina Yusuf (as) that, we are all in need of such a wakil (attorney). A Wali (saint) is a wakil, an attorney, and they are the big أُوْلِي الْأَمْرِ Ulel amr, the people of authority. In this material world, if we get into trouble with the law, we find an attorney to represent us. Only very foolish people represent themselves in front of a judge because they don’t know the ins and outs of the law and how to argue for themselves. But an attorney is trained in how to speak and how to defend you. Look how much people spend on an attorney, but when it comes to the way of the Divine, people don’t want to spend $5. Yet they spend $100 going out for dinner and a movie no problem. These Saints are our attorneys in Divine Presence. Like the wazir of the King who helped Sayyidina Yusuf (as), they know how to speak in that Heavenly court. They know how to present our case so that difficulties and burdens that would have come to us are kept away. You used all your wealth only to please yourself and there were no blessings in your life because you are accountable for every dollar you spend. Then Awliya (saints) come and build a beautiful garden of Paradise in your communities. They take us out of the well and they begin to guide us so that we use our sustenance not for ourselves, but for our afterlife. They took that money that you were wasting because it was being spent on things that had no blessing, and they inspired you to use it to feed your soul. They took that adulterous relationship you had with the material world and made you focus your love and your attention on the King. They began to arrange your life in such a way that you could maximize every dollar and create long-lasting benefits for your soul, instead of wasting your time and money on the temporary pleasures of this world. Then again from the story of Yusuf (as) is that with all of the blessings that he was being dressed with, he realized that he was in danger of being seduced by the material world and he doesn’t want to be lost to that desire, so he asks to be put into prison. Sayyidina Yusuf said, “I think the prison is better for me; I think jail is better for me than what this dunya is planning for me.” Means he spent seven years in isolation. If Sayyidina Yusuf spent 7 years in isolation, we have to spend 700 years in isolation. It means we take a life of isolating. So from `Asr to Maghrib or whenever people have time from work, they come home and isolate themselves. 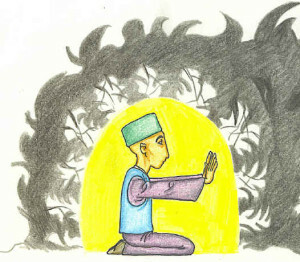 They put a khalwa for themselves and they begin to meditate and contemplate and say “All these allurements of this dunya are distracting me and making me drunk by it and in the end I am going to be a loser by it.” So when I isolate myself, and I play the salawaat and lock-off the room like a closet. I tell myself, “This is my grave. If I am scared of a dark room imagine what you are going to feel in a dark grave?” Until you overcome that and you be comfortable with yourself. نُوَيْتُ الْاَرْبَعِينْ، نُوَيْتُ الْاِعْتِكَافْ، نُوَيْتُ الْخَلوَة، نُوَيْتُ الْعُزْلَة، نُوَيْتُ الْرِيَاضَة، نُوَيْتُ الْسُلُوكْ وَالصِّيَامْ لِلَّهِ تَعَالَى فِيْ هَذَالْمَسْجِدْ. Nawaytul arbaeen, nawaytul itikaf, nuwaytul khalwa, nuwaytul uzla, nuwaytul riyada, nuwaytus sulook was siyam lillahi ta’ala fi hadhal masjid. -I solate yourself, do your zikr, do your award, and ask in your heart for seclusion. Take your practices more seriously and do them with the intention of being able to do seclusion one day. But first you have to be comfortable with yourself. You have to develop the ability to sit alone quietly for hours just doing your spiritual practices. You begin to make salawaat and make tafakkur (contemplation), and all the badness begins to come out and you sense it, you smell it, you understand it, and And those seven years begin to open its realities. Be like Sayyidina Yusuf (as), who was asking to leave youthful folly and reach maturity and wisdom. -All of us are like children in the eyes of Saints – no matter our age, we have not reached maturity until we have perfected our character and have been granted permission for seclusion by our Master. But if we learn from the story of Sayyidina Yusuf (as) and follow in his footsteps then, God willing, we may be blessed enough to inherit something of what he was dressed with. 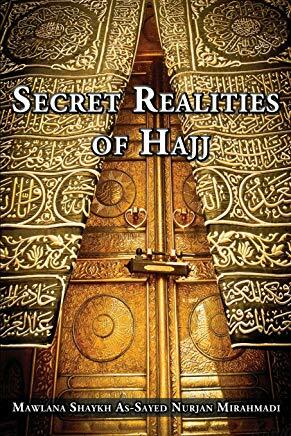 When you are taking a path of isolating and taking a path of hisaab means now we are understanding the Hajj. Hajj now is a tourist attraction to go and spend $15,000 and come back with some gold. Before, they were reaching realities and then with permission going for Hajj. Now, everybody is going for Hajj and comes back with no realities. That is why we say Awliyaullah serve Allah (Azza wa Jal). There are 124,000 Awliyaullah on this Earth. The 124,000 servants of God, true servants of Allah (Azza wa Jal) who have been tested, who have been isolated, and who have been secluded. As a result of their seclusion the king came out and made him to be the head of all the finances of Misr (Egypt). It means Allah (Azza wa Jal) opened from Siffat al`Azeez العزيز (the Almighty/Victorious, and Sifaat al-Razzaq الرزاق (the Sustainer)”. We are going to give you a Mulk (kingdom) and we are going to make you authority over you, that you control the wealth of the Heavens. If Allah (Azza wa Jal) gives you control of the wealth of Heavens, this dunya is but under your feet. Only at that time it opens. If that training had not come how is that going to open? How is that person going to be a wali (saint)? He is just a seed that was never planted and never grew. The only thing you can do with a seed it probably throw it at someone, it has no benefit. So Sayyidina Yusuf is coming in this holy month and reminding that. Anytime you are confused about your path look at those steps in his life. You feel you are isolated okay, I was in a hole, do you feel like you are being tested? You’d better believe it.Do you feel that dunya is running after you? Run from it. Are you taking a time to make your isolating and tafakkur and constantly meditating and contemplating? At that time in your kashf, in your spiritual connection, you are going to see those Malik and those Awliya. Those saints begin to appear to you to give you the keys of the Heaven. At that time everything will be brought back. Then Sayyidina Yusuf (as) saw his father when he was the king at that position. At that time the father came, everyone came and made sajda ehteram and holy Qur’an describes that: Sayyidina Yaqub who was a Prophet of Allah (Azza wa Jal), bowed to the feet of his son. So when they don’t like to be respectful, they are not reading Holy Qur’an. The prophet of Allah (Azza wa Jal) bowed in ehteram (respect) to what that son had been dressed with, what realities Allah (Azza wa Jal) had dressed. This is not the physical, we are talking from the spiritual. There is a whole sequence in which to reach that sainthood, to reach that reality and we pray that Allah (Azza wa Jal) blesses us and dresses us from these realities. Then we go into Sayyidina Ibrahim (`alayhi ‘s-salaam) and the reality that is moving up from the 12 all the way to the realities of Kawthar. You take the 12 and multiply by the power of 9 and at 9 is the big Sultan al-Awliya and it opens 108 which is Surat Kawthar. It means that the ha’d of dunya is the perfection of the path, perfection of the character that we must be on a path in which to reach realities. These Awliyaullah are going to come and dress the souls with the Treasures of the Heavens. These are the Treasures of Prophet (sallallahu `alayhi wa sallam). These are the Treasures of the Knowledge. It is not cash. Allah (Azza wa Jal) does not care for cash, these are the Treasures of the Soul and the Treasures of Divinely Realities to be dressed upon the soul. Subhaana rabbika rabbil izzati amma yasifoon wa salaamun alal mursaleen walhamdulillahi rabbil aalameen. Bi sirri Muhammad al-Mustafa, bi sirri Surat al-Fatiha.